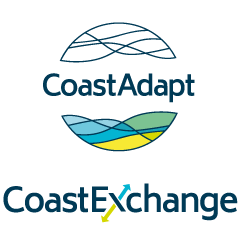 In planning to adapt to climate change and sea-level rise, coastal decision-makers face barriers and limits to action. A barrier is any type of challenge or constraint that can slow or halt progress on adaptation but that can be overcome with concerted effort. A limit is something that cannot, without unreasonable action or expense, be overcome. There is a very wide range of potential barriers to adaptation, ranging from those related to people’s lack of belief that climate change is a serious problem that must be addressed, through to lack of financial resources and lack of leadership. When coastal decision-makers plan for action on coastal hazards such as sea-level rise, they may face barriers. By barriers we mean any type of challenge or constraint that can slow or halt progress on adaptation but that can be overcome with concerted effort, whereas a limit is something that cannot, without unreasonable action or expense, be overcome. Here we outline the most common barriers experienced by individuals, governments and businesses concerned with the coastal zone, and we point to resources in CoastAdapt that can be used to address these barriers (see Table 1). People who have a low personal understanding of climate change will find it difficult to plan for its impacts or even to accept that others should plan to adapt. This may be because they feel that too little is known about climate science, or that the science isn’t ‘settled’, or that there needs to be more certainty about the science before actions can take place or that the risks are small and action can be delayed. However, having more knowledge about the science does not necessarily lead to action – if people’s values, emotions, reasoning or culture are challenged, then more knowledge is unlikely to make a difference. Key barriers include a lack of capacity within the organisation, including inadequate funds for adaptation, and an organisational culture that limits or prevents decision-making on adaptation. These organisational aspects can cause, or reflect, a lack of leadership on adaptation. Organisations often have limited financial, technical and human resources to plan for a complex and contested issue such as adapting to climate change. They also have many competing issues that may take more immediate priority. This leaves organisations without sufficient resources to undertake a comprehensive program of adaptation from planning through to implementation. For a business, there may be a lack of resources or adaptation champions for their industry. While there is a broad consensus that the climate is changing, there is uncertainty around the scale of these changes. Scientific knowledge will continue to grow, but, as for many other types of risks, we will never have precise forecasts of the magnitude and timing of climate risks. It will be important to adopt an approach to planning that acknowledges and can accommodate uncertainty. A lack of locally relevant and practical information about potential climate impacts may be compounded by a lack of technical expertise to interpret climate change projections for the local area. At best, this may mean employing consultants to support planning efforts; at worst, planning can stall and there is minimal or no adaptation. how adaptation actions can be prioritised – what needs to be done now and what actions can wait. There may be cost savings in developing partnerships internally, with local businesses, with local community groups, regionally or with similar organisations in different areas. Leadership shapes the decision-making culture of the organisation. This applies to both formal leaders in the organisation – and also across the locality or sector – as well as informal leadership where someone champions action. Good leadership can inspire creativity and action, while poor leadership can make action difficult or impossible. The culture of an organisation may limit effective planning for climate change: for example, if climate change is treated as an environmental problem (rather than something that can affect all aspects of an enterprise) then it may be siloed rather than being mainstreamed across all activities of the organisation. Local government requires strong and clear support from state government in order to progress adaptation, and this lack of support is a barrier to action. The risk of legal liability – and uncertainty about what is legally defensible – has been a strong concern for councils with respect to the issue of sea-level rise. Some councils are concerned about the legal implications of allowing development on a vulnerable coastline; other councils are concerned about litigation arising from restrictions on development; yet others have experienced legal repercussions from rethinking their coastal defences. Some legal opinion indicates that councils will be protected if they can demonstrate that they have used the best available science to inform their actions. A council may lack leadership from its elected officials or senior management to adapt to the risks of climate change. Community values, beliefs and aspirations affect how councils operate and influence a council’s mandate for action. A council with a highly conservative community might feel it lacks the public support to lead or invest (spend ratepayers’ money) in planning for climate change. Concerns about community responses – either a real or anticipated resident backlash – make some councils reluctant to act. Similarly, some councils perceive that community expectations make it difficult to propose non-engineering alternatives, such as accommodation or managed retreat. The ability to engage the community affects a local government’s ability to plan. While councils have experience in community consultation – and many how-to guides already exist – councils can lack confidence and experience in talking about science-based issues where solutions are unclear, difficult and contentious. Once discussions are started with the community, the conversation needs to be ongoing and might go on for some. Answers may not be easy to find. Barnett, J., E. Waters, S. Pendergast, and A. Puleston, 2013: Barriers to adaptation to sea-level rise. National Climate Change Adaptation Research Facility, Gold Coast. Measham, T.G., B. L. Preston, T.F. Smith, C. Brooke, R. Gorddard, G. Withycombe, and C. Morrison, 2011: Adapting to climate change through local municipal planning: barriers and challenges. Mitigation and Adaptation Strategies for Global Change, 16(8), 889-909. Pasquini, L., R.M. Cowling, and G. Ziervogel, 2013: Facing the heat: Barriers to mainstreaming climate change adaptation in local government in the Western Cape Province, South Africa. Habitat International, 40, 225-232.